More use of game rendering technology in sports broadcasts. Camera work and graphics playback already have remote production appeal to many sports broadcasters. IP production automation and cloud computing offer the promise of many more remote production opportunities, further reducing capital and operating expense, but this is limited by the state of the technology today. However, as IP technology continues to develop and to become mainstream, increased production automation and AR/VR adoption will become possible even for small broadcasters on limited budgets. This will enable them to deliver sports programming at a quality level that was previously only accessible to the super networks. As technology continues to evolve… the opportunities for sports broadcasters to further reduce costs and increase revenues will increase exponentially. AR/VR and sports are a natural combination, so it is not surprising to see more and more use of this technology. However, it is the integration of gaming engines, like Epic’s Unreal and Unity, into Augmented Reality and Virtual Sets that is the real game changer. Highly developed real-time render engines, such as Unreal, are able to present viewers with hyper-realistic imagery in the virtual space. 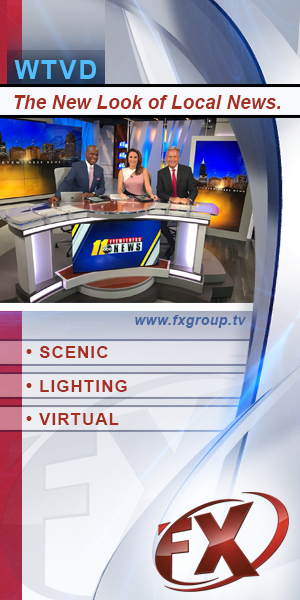 These sets and designs look real, bridging the realism gap for broadcasters and audiences alike. For AR sports designers this also allows for more creativity, as their designs are no longer limited by the capabilities of a traditional Computer Graphics (CG) engine. Plus, importing their designs into a gaming engine like Unreal is simpler and quicker, as it reduces the time usually allocated for texture baking. The use of game rendering in virtual sets is just the beginning. Dubbed interactive mixed reality, new entertainment formats that mix physical and virtual objects with characters and people in real-time are poised for explosive growth. However, gaming engines were never designed to work in broadcast. For example, Unreal was not designed to render graphics (polygon counts, textures, specular lighting) in real-time and does not fit natively with broadcast signals that must correspond with the slower frame rates of SMPTE timecode. The game, team, and player stats and data parsing that are essential for sports production are typically not offered by a gaming engine. This challenge can be addressed by integrating a game renderer with a mainstream CG renderer, letting broadcasters use the same tracking data simultaneously. 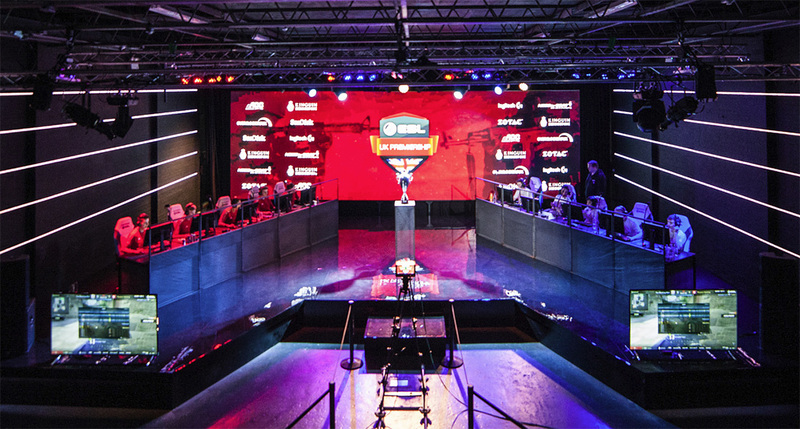 Like AR/VR and sports, game rendering with CG functionality is a perfect combination for the eSports market, delivering not only realistic virtual sets, but also character rigging and motion tracked animation. As technology continues to develop, promoting the increased use of augmented environments across sports and eSports, this is introducing the potential for entirely new broadcast revenue streams like the ability to sell sponsored AR content out of inventory. 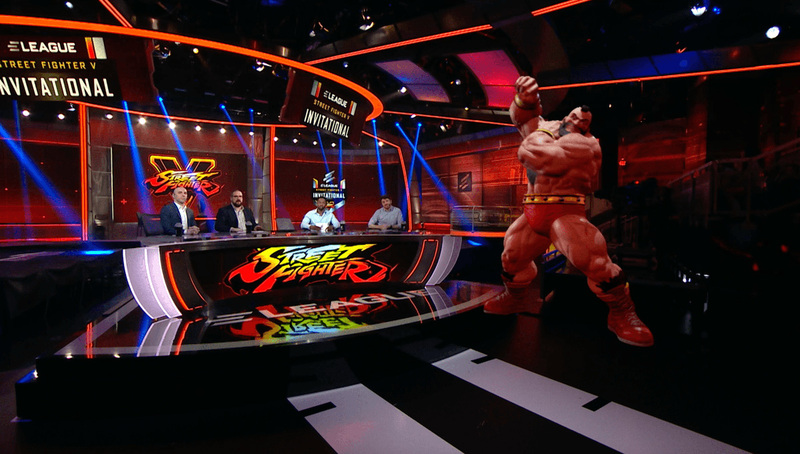 The convergence of AR and gaming foreshadows the increased blurring between sports and eSports production. As technology continues to evolve, especially IP and cloud computing, the opportunities for sports broadcasters to further reduce costs and increase revenues will increase exponentially. This article is part of NewscastStudio’s Focus On Sports and Live Production. As Director of Creative Services for Ross Video, Jim leads an elite team of XPression and Unreal artists who deliver cutting edge solutions to a variety of Ross clientele. With the working title of Mission Commander, Jim leads the business, marketing & sales, as well as the production efforts of Rocket Surgery, Ross Creative Services. Doyle has a long history in creating compelling graphics for broadcast and production, building and managing creative teams, and inventing and implementing efficient graphics workflow tools and processes that have become standard methods used throughout the industry. 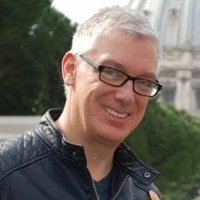 Doyle previously worked with Media General as General Manager of their centralized graphics operation MGFX as well as NBC Universal as Director of Design. Jim joined the company in April, 2015 with Ross’ acquisition of Rocket Surgery Design Services.